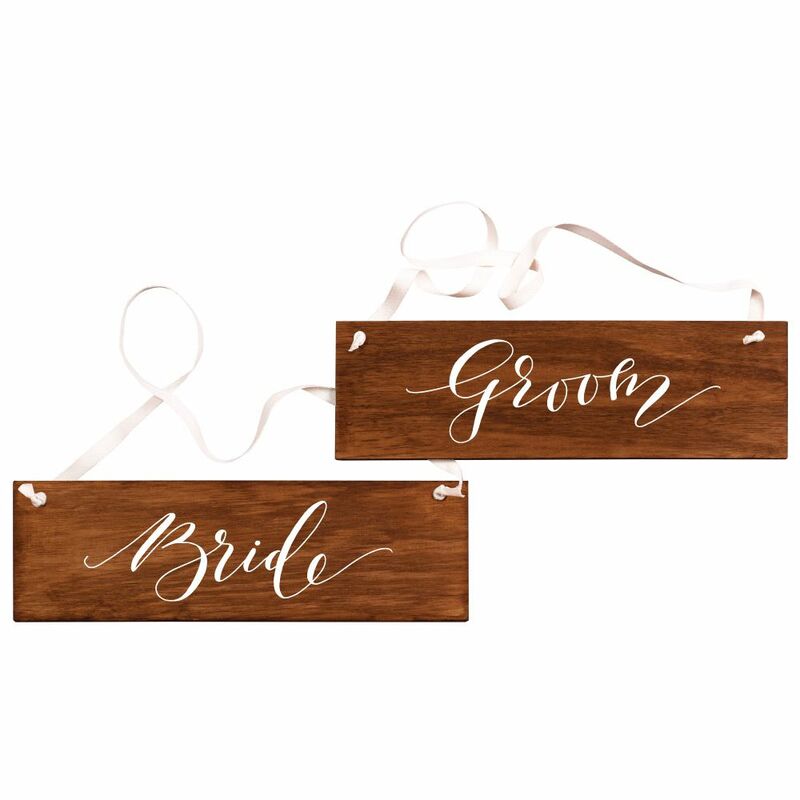 Gorgeous, rustic timber signs for displaying at your ceremony or reception. 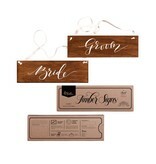 Hang them from your chairs as you sign your marriage certificate or at the official bridal table. 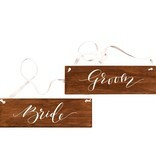 Or display them on a wall or as part of your reception decor. 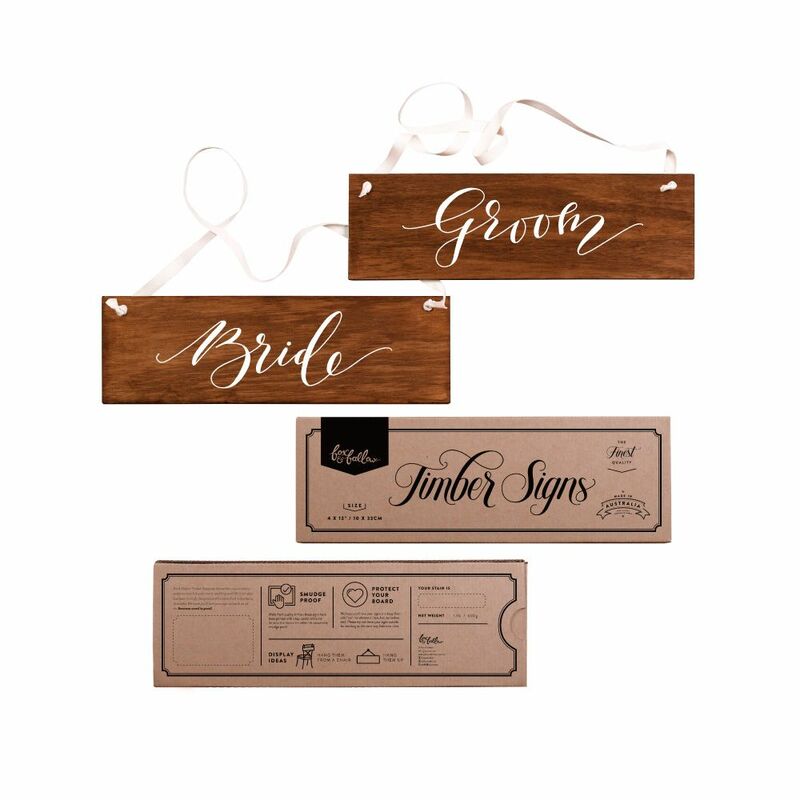 These signs use stained timber ply with printed artwork. Hand-lettered and hand-made in Brisbane, Australia. Cotton herringbone ribbon included.